Graded VG 40 by SGC. Extremely attractive example of key Hall of Famer Ty Cobb in a batting pose from the classic E90-1 American Caramel series. 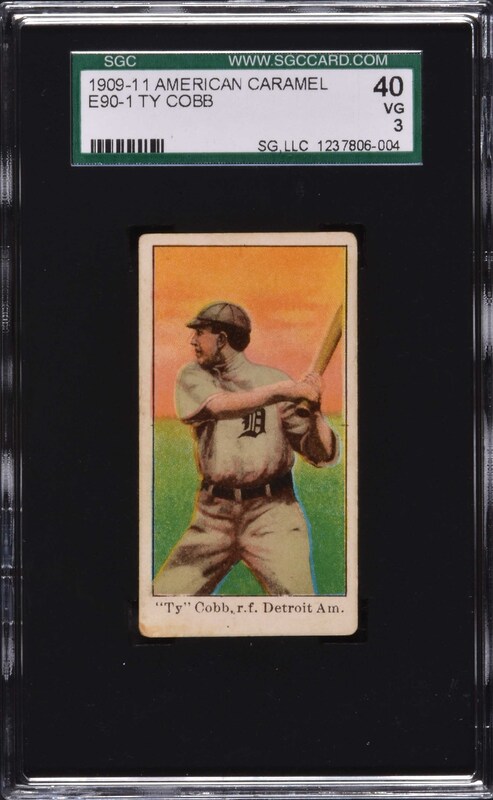 This caramel card is widely recognized by collectors as one of Cobb’s most striking cards, but it is rarely found this nice. Bright and crisp, both front and back, with brilliant colors, even wear to the corners, flawless registration, and outstanding centering. Light toning is present in the bottom left corner. The reverse is centered slightly to the left and it clean overall. 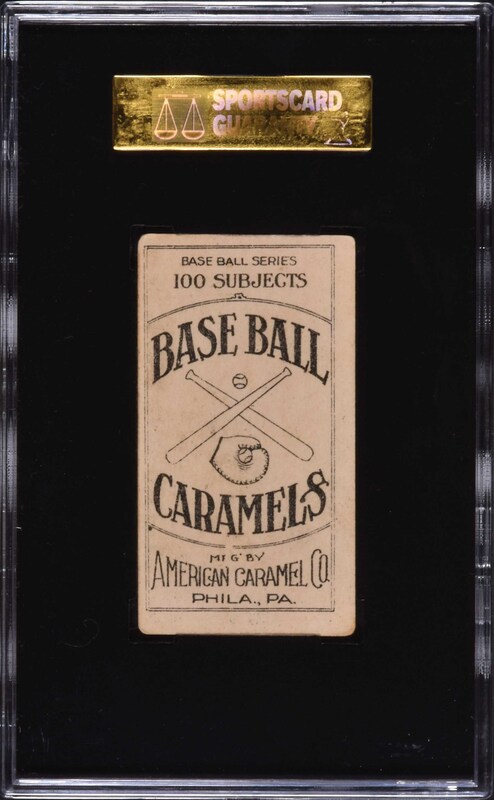 This is an exceptional example of the key Hall of Famer from the most popular caramel-card set of the era. Reserve $400. Estimate $1,000+.